Former President Goodluck Jonathan says the Peoples Democratic Party (PDP) is getting stronger and poised to take over power come 2019. 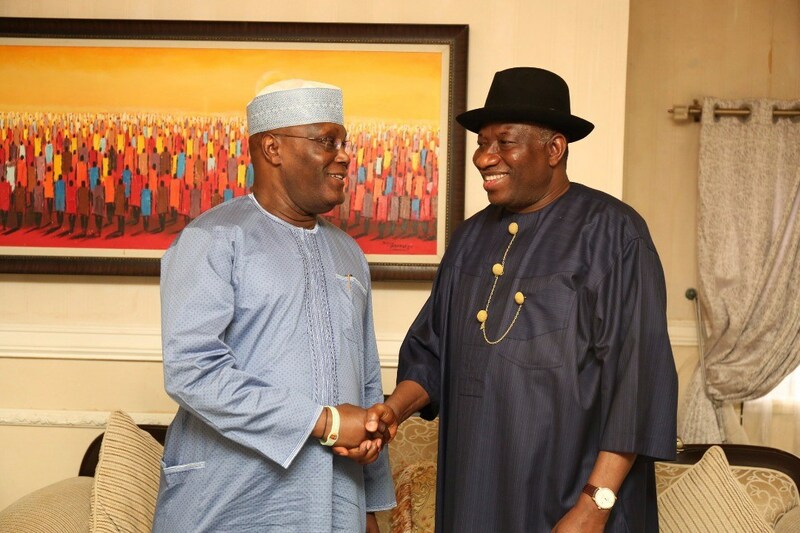 Jonathan said this on Wednesday when he hosted Atiku Abubakar, former vice-president, in his house in Yenagoa, Bayelsa state capital. Jonathan, who lost to President Muhammadu Buhari, in 2015 is optimistic that his party is now in a better position to regain its ruling status. “I believe PDP is coming back and getting stronger,” he said. Abubakar, in a similar manner, also said there is no other party that has the structure and strength like the PDP. The former number two citizen who lost in the APC primary election that produced Buhari, has since defected to the PDP and he is aspiring to run under the platform in 2019. He also expressed his disappointment with the current administration.